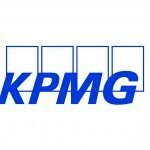 KPMG operates as a global network of independent member firms offering audit, tax and advisory services; working closely with clients, helping them to mitigate risks and grasp opportunities. Member firms’ clients include business corporations, governments and public sector agencies and not-for-profit organizations. They look to KPMG for a consistent standard of service based on high order professional capabilities, industry insight and local knowledge. KPMG member firms can be found in 155 countries. Collectively they employ more than 174,000 people across a range of disciplines. Sustaining and enhancing the quality of this professional workforce is KPMG’s primary objective. Wherever we operate we want our firms to be no less than the professional employers of choice. We contribute to the effective functioning of international capital markets. We support reforms that strengthen the markets’ credibility and their social responsibility. We believe that similar reform must extend to the professional realm. Freightos is automating the trillion dollar global freight industry with online freight sales, management and booking. Using big data technology, Freightos enables freight forwarders, shippers and carriers to manage rates and automate freight pricing online, introducing unprecedented efficiency and transparency to the industry. Small and mid-size importers, manufacturers, retailers and distributers use Freightos to instantly compare and book international freight quotes from top forwarders in seconds, revolutionizing their supply chains. 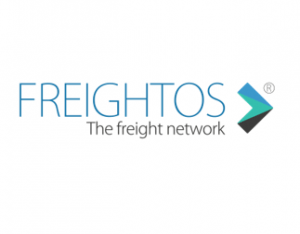 Freightos has already helped dozens of freight forwarders, including top ten global companies and Fortune 100 retailers, optimize operations with automated freight sales, routing, pricing and big-data insights. Xeneta, formed in 2012, is the world’s the leading benchmarking and market intelligence platform for containerized ocean freight. Xeneta’s easy-to-use yet powerful reporting and analytics software gives shippers and freight forwarders the data they need to compare shipping prices against the world’s largest database of real time, on-demand contracted rates. Xeneta’s shipping index comprises over 11 million contracted rates and covers over 60,000 global trade routes. This enables our customers to make informed decisions and optimize their logistics procurement process. Xeneta is a privately held company and is headquartered in Oslo, Norway. To learn more about how we are transforming the shipping and logistics industry, please visit www.xeneta.com. Bringg is the worlds leading platform for enterprises to manage on-demand and last-mile deliveries, empowering enterprises and 3PLs in more than 50 countries. Bringg provides capabilities to all businesses that were previously only available to companies like Amazon and Uber by enabling them to enrich their existing infrastructure. Bringg is an open system – it is capable of a high level of customization based on business needs; it can synchronize with any existing system in place, whether it is POS or otherwise. The platform was built to connect with a variety of APIs, allowing some of the largest business to create a system that works with their existing infrastructure. In the on-demand era, customers now expect their delivery experience to live up to a new standard, and Bringg helps businesses provide it.